“After he was brought to the Troad, he set up camp in the shrine of Aphrodite. Once he fell asleep at night, he dreamed he say that goddess standing over him and speaking: “Why are you sleeping, great-hearted lion? The fawns are near [for you]”. After he woke up and called his friends, he explained the dream while it was still night. And then there were some men from Troy who were announcing that thirteen of the king’s ships had been seen sailing near the harbor of the Achaeans going toward Lemnos. Lucuss then went out immediately and captured them and killed their general Isodorus, and then he was sailing after the other captains. Τί κνώσσεις, μεγάθυμε λέον; νεβροὶ δε τοι ἐγγύς. ἐξαναστὰς δὲ καὶ τοὺς φίλους καλέσας διηγεῖτο τὴν ὄψιν ἔτι νυκτὸς οὔσης. καὶ παρῆσαν ἐξ Ἰλίου τινὲς ἀπαγγέλλοντες ὦφθαι περὶ τὸν Ἀχαιῶν λιμένα τρισκαίδεκα πεντήρεις τῶν βασιλικῶν ἐπὶ Λῆμνον πλεούσας. εὐθὺς οὖν ἀναχθεὶς τούτους μὲν εἷλε καὶ τὸν στρατηγὸν αὐτῶν Ἰσίδωρον ἀπέκτεινεν, ἐπὶ δὲ τοὺς ἄλλους ἔπλει πρῳρέας. I received an email about this passage from a friend (Aaron Beek) who was wondering where this line came from. Plutarch is famous for his quotation of other ancient others. His Lives are filled with figures who quote constantly; his own essays in the Moralia sometimes seem to be mere thin pretext for the assemblage of ancient sententiae. So, it is more than reasonable to imagine that when he places Lucullus near Troy and has that Trojan-loving Aphrodite speak in a dream, she might speak a line from a Trojan tale of Old. The problem Aaron and I face that this line seems to have no attestation beyond this scene. The Suda lists this line twice (s.v. Κνώσσω and Λούκουλλος) and it appears in the Oracular Appendix of the Greek Anthology (231). All three appearances undoubtedly have Plutarch as the source. But what was Plutarch’s source? Rather than keeping this question to ourselves, we are bringing it to the world…. Others may contemplate the content of this line and how it might pertain to some moment in the Trojan War narrative (Aaron has suggested that it might work as something said by Aphrodite to Hektor when the Greeks first appear which would be a cool intertext). Since I am a Homeric philologist by training, I need to start by looking at the language. A second problem for me is the verb κνώσσω, which is highly defective and does not seem to appear much in hexameter (although it appears twice in Pindar [κνώσσοντί, Ol. 13.72; κνώσσων, Pyth. 1.9] and once in Epic. Adesp. [ 2.34: εὖτε νέους κνώσσοντας̣ [ἐποτρύνειε κατ’ αὖλιν]]). 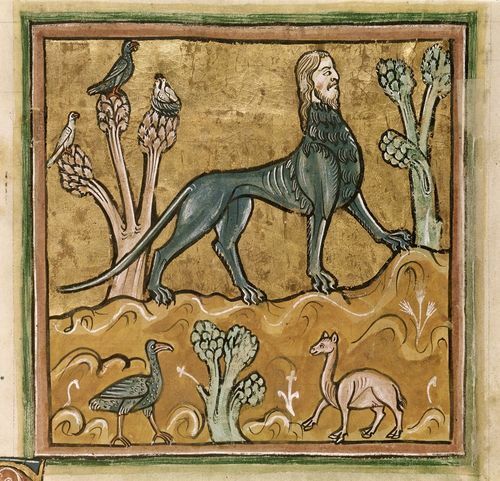 Other brief observations: heroes are called lion-hearted in early poetry (in the Iliad: Agenor, Hektor, Achilles and Epeios):, but lions are not really called “great hearted”. To me, this looks like later “paint-by-number” versification: so, the work of a literate writer imitating oral composition rather than a genuinely early line. To add to this–the address “great-hearted lion, there are fawns…” is the use of a metaphor in a way we don’t really find in early epic. There are lots of antecedents in similes etc, but this device seems more Hellenistic. I don’t think I would claim that Plutarch composed this–the fact that he does not provide a source implies that (1) it is so well known that he does not need to or (2) there isn’t one and Plutarch is presenting this as the oracular content of a dream (or it is in fact part of a tradition handed down in the annals of Lucullus). So, just to recap: to me, this line seems post-classical because of its meter, its address of the figure as a lion, and its diction. That said: my sense is based on privileging the Homeric epics we have (which are Ionian and then standardized a bit to Attic). Other localized traditions might have slightly different vocabulary and conventions. So, if for example, this line did come from the Cypria, it might indeed exhibit different qualities. Have a look at Iliad 16.485-90 for a stout-hearted bull. Animal imagery fits a chresmologic source well: cf. Amphilytos in Hdt. 1.62, Bakis in Hdt. 8.20, Abaris in Herakleides Pont. fr. 74 Wehrli, anon. in IG II2 4968, anon. in Hdt. 5.56; plus literary parodies (Arist. Birds 977-9, Aesch. fr. 275, Lucian Peregr. 30, animal omens). If indeed the verse is post-classical (but none of the good versifiers would admit to it; even the so-so versifiers are capable of 'better') I think that one of the Oracular writers would be capable of releasing that into the wild. Linguistically, not sure. Vocative μεγάθυμε is paralleled in Il. 21.153, line-final ἐγγύς 3x in Homer. Maybe a slight hitch: Hdt. 5.56 has vocative λέων, not λέον, in a (para)chresmologic line – but not disastrous. I've not checked the history of κνώσσω, but I guess you have?